Heroes Charge inherits the foundation of its combat system from MOVA games such as DOTA 2 or League of Legends. The action has been completely streamlined to adapt it to the mobile platform, but the essence of the combat system remains: heroes, skills, stats and synergies. Because of the platform, developers also decided (great decision, btw) to put the main emphasis of the gameplay on the strategy and management of the heroes and reducing the action to the minimum (to zero in the PvP modes, to be precise). The final result is an extremely deep and interesting combat system that keeps players engaged for months during the whole progression of the game. The tutorial puts the players right into the action. Developers use the battle as the hook. Players experience the most superficial but coolest part of the combat system: the heroes and their Ultimate skill. During this stage players learn the energy mechanic of the Ultimate skill and how important is timing. Timing is important not only for the Ultimate skill but also for the whole combat system. So, during the tutorial, the player is already learning the core game mechanics that will be used in all the game modes and along the entire progression. During early-game, players learn the basics of the combat mechanics. They also start to understand the importance of the strategy during the team building phase. So, already in early-game, the focus starts to shift from action and tactics to strategy and management. Players learn the basics of battle tactics: Target Prioritization. Deciding when to trigger the Ultimate skill of the heroes is very important. Is it better to unleash the Ultimate skill as soon as it is available? Or maybe it is better to wait and use it when the rival tank is down? Target Prioritization pushes the players to learn about the importance of the roles of the heroes in a party. Building a party with the right balance of Tanks, Dps and Support is key. Hero Range is also important to learn in this stage. Front, Central and Back heroes’ balance should be taken into account to build a competitive team. PvP is introduced at early-game trough the Arena game mode. This mode reinforces the importance of the team building strategy, since the auto-fight feature is mandatory. This means that, during the battle, there is no player interaction at all. To perform properly during mid-game, players need to go deeper into the combat system. Players start to pay special attention to the Automatic Skills, not only the Ultimate skill. The type of skill, the cool-down time and the triggering conditions are parameters that the player needs to slowly learn and interiorize. The long list of Hero Stats (which was probably ignored during early-game) now, needs to be taken into account. This pushes players to learn about Hero Types (INT, STR and AGI) and Hero Damage/Resist Types, which, in addition to the Automatic Skills, are key concepts to be able to build teams that have good Hero Synergies. Hero Synergies is probably the most important concept of Heroes Charge’ Combat System. Learning about them, testing them and using them is extremely rewarding by itself. While the player is learning and experimenting with Hero Synergies, the Crusade game mode is unlocked. The Crusade is a survival mode where players need to have as many heroes as possible and, at the same time, try to get the most out of them by taking advantage of their synergies. This process, combined with the scarcity of resources, makes players to focus more and more on long-term strategy. At late-game, players need to master all the tactic aspects of the combat. Small details in Combat Dynamics might make a difference in battle. So, paying close attention to Hero movement, repositioning, orientation, speed, the aggro system, etc. during combat is mandatory to be able to top the PvP leaderboards. Being aware of the meta-game changes and try to anticipate them becomes crucial. This pushes players to play even more strategically than ever before. What hero to level up next? What hero synergizes best with my best hero? To which hero do I equip this recently acquired amazing piece of equipment? These are the kind of questions players have in their minds during late-game. It’s all about strategy, but, like during the whole progression of the game, the battle remains staple. Even in PvP modes where there is no player interaction, paying attention to how the battle unravels is important to keep learning the Combat Dynamics and to check if strategic decisions are right or wrong and adapt long term plan if needed. On top of this deep and interesting combat system, Heroes Charge features an excellent execution of an asynchronous symmetrical PvP. 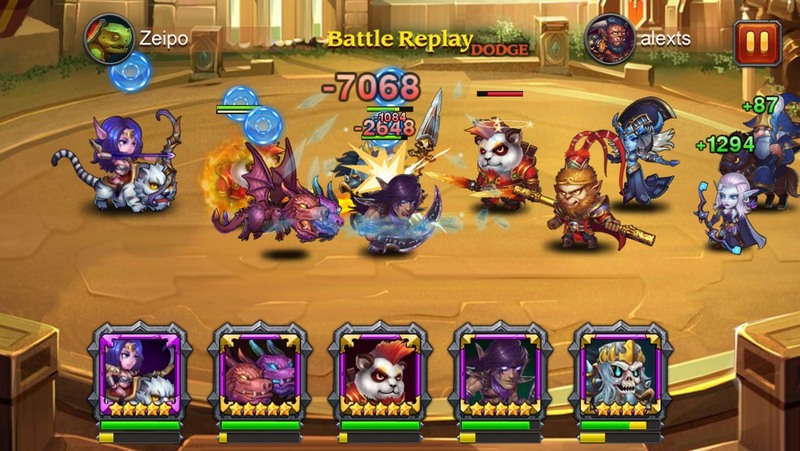 Asynchronous PvP seems to be the way to go in mid-core, freemium, mobile games. Super Cell proved it with their PvP formula for Clash of Clans and Boom Beach based on asynchronous and asymmetrical gameplay. 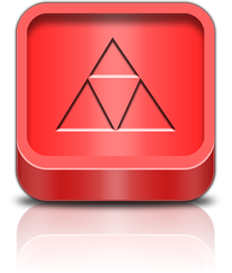 “Asymmetrical” in the sense that the active player and the passive player have different gameplay and different tools. Passive players need to use defensive buildings to build an unbeatable base. On the other hand, active players need to use their troops strategically to destroy defensive players’ bases. Heroes Charge developers decided to keep the asynchronous aspect but they went for symmetrical gameplay for active and passive players. This means that both active and passive players have the same tools to go to battle. This is not new. A lot of games (particularly RPG games) feature this kind of PvP. However, Heroes Charge developers took a key decision: in PvP modes the auto-fight feature is mandatory, so no player interaction is allowed. This has two direct very interesting consequences: first, the combat is totally fair. The attacker has no advantage. Second, it puts all the focus on the team-build phase and the hero synergies, which pushes players to play strategically instead of trying to improve their ability to trigger the Ultimate skill in the right moment. However, part of the information about the defensive party is exposed to the attacker. So, in the end, the attacker has a clear advantage. However, this is smartly compensated by the fact that the attacker can only challenge players who have higher positions on the leaderboard. This, combined with the deep and complex combat system we have described previously, creates one of the best asynchronous PvP experiences currently on mobile. Heroes Charge excels in a number of aspects such us the VIP system, monetization strategy, retention, progression balancing, heroes design, etc. But the Combat System really attracted my attention from the very first moment and kept me genuinely interested and engaged for more than a year now. The game starts by showing the action and tactics of the combat to hook the player, but quickly shifts the focus towards strategy and heroes management. However, the battle phase remains staple, since it is where players gets accurate feedback about their strategic decisions. Combat dynamics are totally attached to the progression loop and change depending on players’ strategic decisions. Paying attention to how the battle unravels is important, even when there is no player interaction (PvP). Synergies end up being the fundamental concept of the combat system. Looking for new synergies while learning the subtleties of the combat system itself is extremely rewarding. In the end, the game features a very deep combat system which is delivered to players in layers of complexity along time, so that they can keep learning stuff for a very long period of time. Some players even restart the game in a new server after reaching the late game because they want to take advantage of the knowledge they have of the system. This entry was posted in Uncategorized by Toni Sala. Bookmark the permalink.